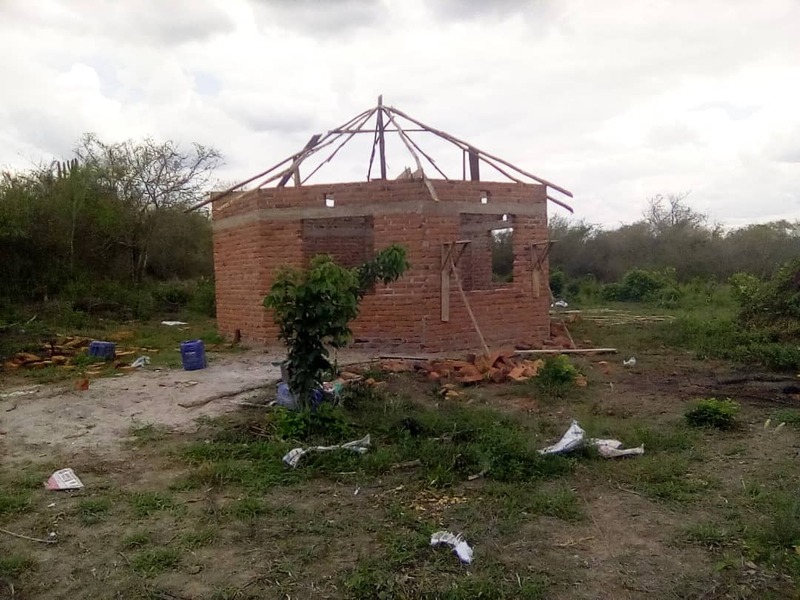 During our recent trip to Tanzania, Kelly and I were able to visit our newest school we are building which is located on the eastern coast of Tanzania. We began clearing the land and construction earlier this year and the progress that has been made is nothing short of remarkable. 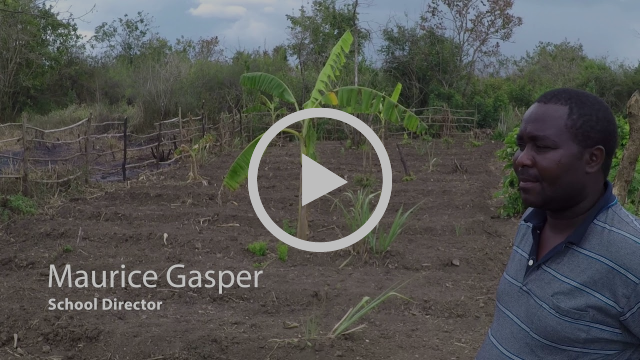 Maurice Gasper, who has worked with the Manna Project for 6 years, has been leading this project and will be the Director of the school once it opens. He has worked without complaint consistently since the work began. The school building is about 3/4 of the way finished. The student housing, which is comprised of five round cottages are quickly being constructed as well. Each married student is going to be able to bring their entire immediate family with them to school. Most of the school structures will be finished by the end of November. This is amazing because each and every brick going into these structures have been built by hand and fired on location! The school farm is progressing nicely with many farm projects currently underway. We own 13 acres at Talawanda which was covered in thick brush and trees. We have even harvested one crop of corn off of the land planted a second crop! We have chickens, Muscovy ducks, and soon we will have piglets delivered to the farm. We have roughly one acre already in cultivation in the form of raised bed gardens. 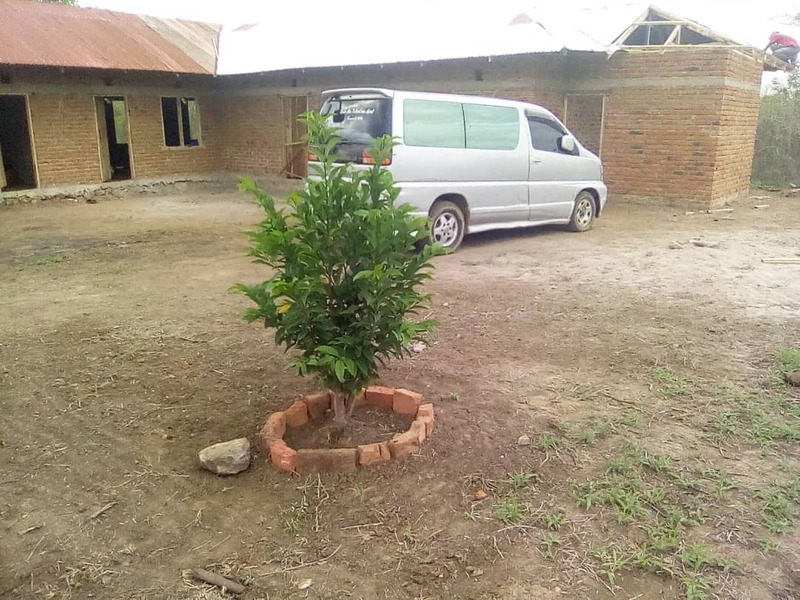 We plan to plant fruit trees all along the edges of the property and around the buildings. I am very excited about the work this school will do training men to be self-supported preachers! Be sure to watch this video with drone footage of the construction of the Talawanda school of Preaching and the progress of the farm. 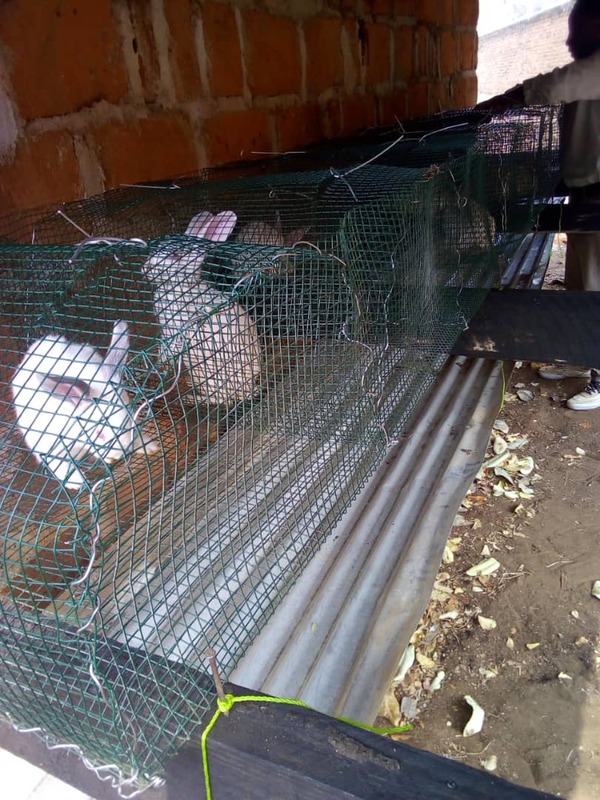 Rabbits in their new cages! 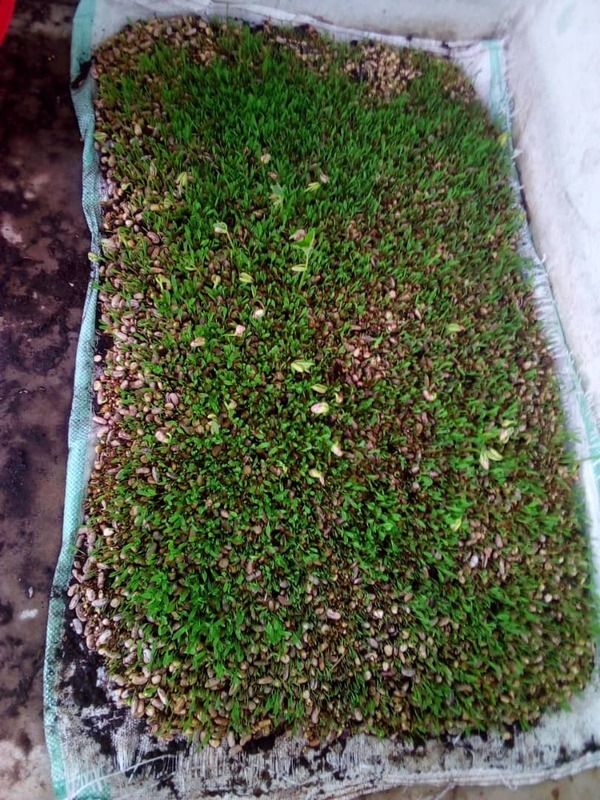 Sprouted grain to be fed to the rabbits! Students and staff continue to reach lost souls with their weekend evangelistic efforts. The “Brethren Church” who we have been trying hard to convert have decided to put on Christ in baptism and that will soon happen and hopefully, by the time I send out the next report, we will have pictures of that great event. Please keep them in your prayers. Be sure to go to the Epic Coffee website to buy amazing coffee that is Mission Minded! Justin Hopkins is a Gospel Preacher that roasts coffee with the goal to support himself, help coffee farming preachers in third world countries, and helps support the Manna Project with each bag purchased! If you are a coffee drinker then why not help great works by purchasing some Epic Coffee?!? Take it from me, its EPIC! 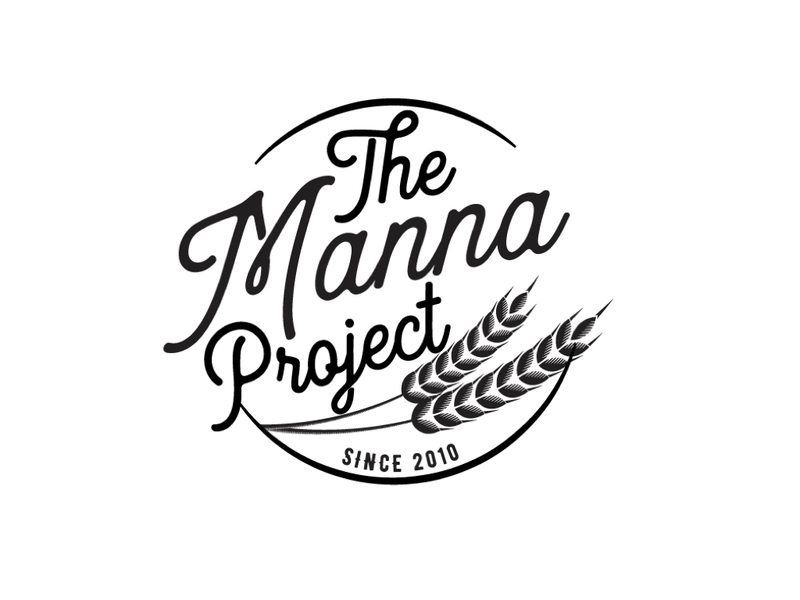 Copyright © The Manna Project, All rights reserved.